Today was rainy though so I continued work on the slaneeshi renegade. 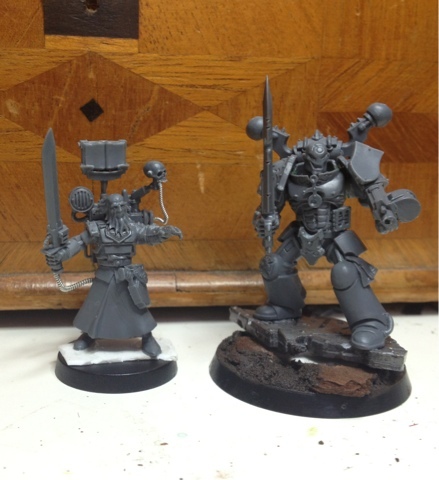 Also started building a grumpy aged inquisitor. What is the source of the head ? The head of the renegade is from the chaos chariot and the chestplate is from the sanginuary guard. This has to be the coolest Slaanesh Marine I have seen. Yet again a great miniature, well done Sir.